My latest work is very much about Peruvian textiles and culture. However many African inspired quilts and wall hangings are on show in the gallery and some are for sale in the shop. A variety of bags, brooches and other fun accessories are available in the shop. 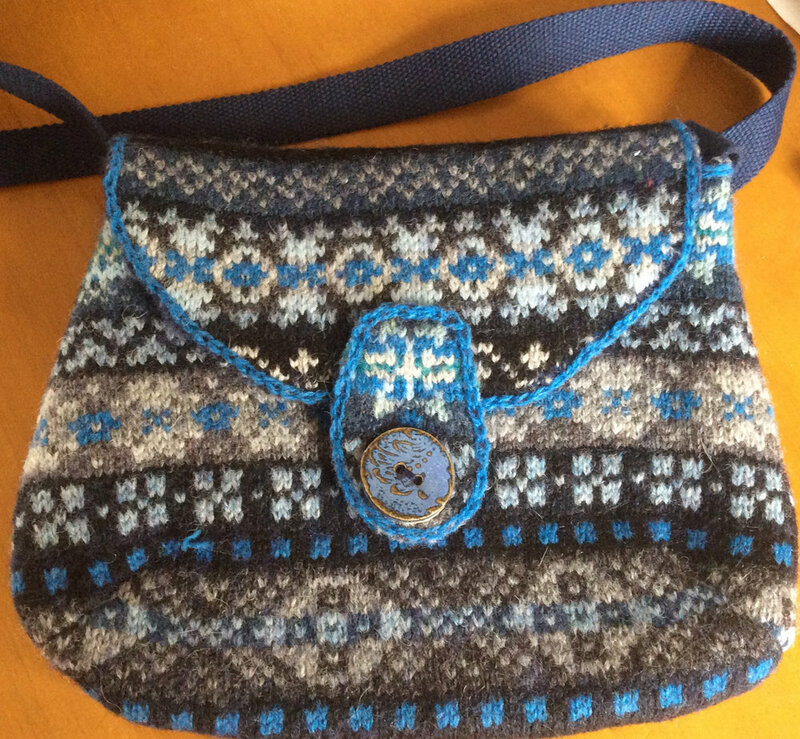 Styles range from Fair Isle shoulder bags and clutches, pictured here, to Africa, and South American influenced items.